Victor 'Punk' Woodley is on his way back to his 2017 form, winning at Final Round and starting the Capcom Pro Tour season on top. The first Capcom Pro Tour event of 2019 is complete. Looking at the Top 8, the names are looking a little different than they did last year. But the top Street Fighter V: Arcade Edition players have proven to be the most talented in the world, nonetheless, as evidenced by the final matchup between Yusuke Momochi and Victor "Punk" Woodley. But it was Punk who finished the tournament on top, beating Momochi in two sets. Punk got off to a strong start, with his Karin putting intense pressure on Momochi's Zeku. Even as Momochi looked to assert himself with more well-timed switches, Punk kept up the pressure and took advantage of any Momochi misses. It didn't take him long to reset the bracket. There were a handful of surprising early eliminations from throughout the weekend. Defending Capcom Cup world champion Kanamori "Gachikun" Tsunehiro drew a couple of tough hands early, losing to hardened veteran Bruce "GamerBee" Hsiang and third place finisher Ren "Johnny" Sato to end his weekend in 17th place. 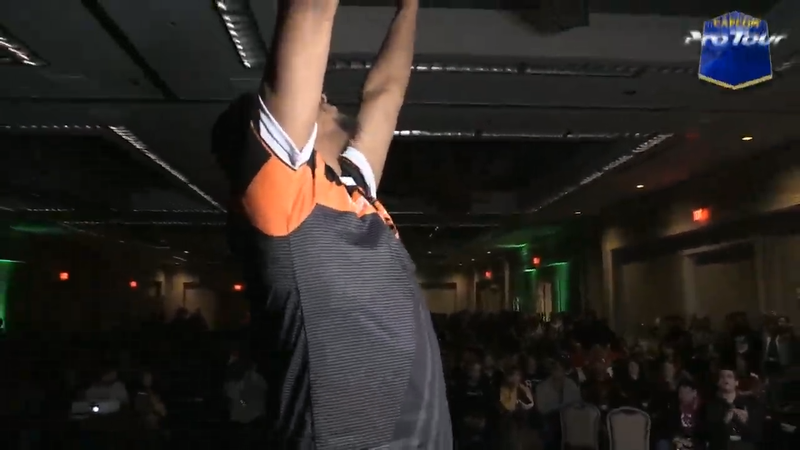 Defending EVO Champion Benjamin "Problem X" Simon was stunned early on in pools, losing to CeroBlast before being eliminated by Du "NuckleDu" Dang to finish 33rd. Fujimura Atsushi led the Capcom Pro Tour points leaderboard throughout 2018, but fell after facing off against veteran stalwards Long "LPN" Phi Nguyen and Bryant "SMUG" Higgins to also finish 33rd. And it wouldn't be a competitive Street Fighter post without mentioning the legendary Daigo Umehara. Daigo lost to top Mika player Keita "Fuudo" Ai (who himself finished 25th) and Brian "Brian_F" Foster to ultimately finish in 33rd place. Final Round is the first premier event in this year's Capcom Pro Tour. That means Punk will sit atop the standings when they're updated on Monday. The next premier event is NorCal Regionals, which takes place from San Jose, CA from March 29-31.